Insomniac, the producer behind North America’s largest dance music festival, has announced its return to Orlando, FL for a three-day adventure packed with sunshine, positive energy, and world-renowned talent. 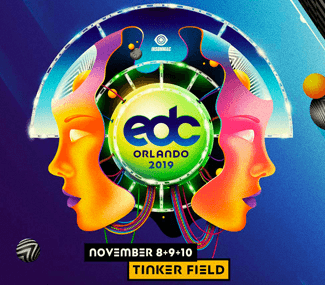 Electric Daisy Carnival (EDC) Orlando will take place at the city’s historic Tinker Field on Friday, November 8 through Sunday, November 10, 2019. Artist lineup and more information coming soon. Tickets are on sale now!